Dreaming of waves in your hair without looking overdone? Discover the new TRESemmé Perfectly (Un)Done collection at Walmart to create waves that look natural. First, let’s find out what kind of waves fit your style: Beachy Waves, Boho Waves or Hollywood Waves? Take the 7-question Wavy Hairstyle Quiz to get your recommended hairstyle to try. It’s fun to take because it’s a visual quiz – and it was spot-on with my results because before I took the quiz I thought “I want those Boho Waves!”. After you get your results, watch the video to see just how easy it is to create your Waves. Look below where I’m sharing my step-by-step hair tutorial to create Boho Waves for a date night. Shop at Walmart for the TRESemmé Perfectly (Un)Done collection. It’s easy to find in the “Shampoo” section with the TRESemmé products. Look for the red featured on the bottles for this collection. It’s such an affordable hair care system for the salon-quality results you get. I found the shampoo and conditioner on Rollback for $4.48 at my Walmart. The TRESemmé Perfectly (Un)Done Shampoo and Conditioner are silicone free and are made with sea kelp extract to give your hair flowing body and texture. I could definitely tell that these products were different than what I normally use on my hair. It’s hard to describe, but when I was washing my hair with the (Un)Done Shampoo my hair felt lighter and cleaner. In creating my Boho Waves, I used the TRESemmé Perfectly (Un)Done Wave Creation Sea Foam which is designed to give you soft defined waves. Again, this product made my hair feel light and ready to capture some waves. I finished my Boho Waves with the TRESemmé Perfectly (Un)Done Ultra Brushable Hold Hairspray – it’s like an un-hairspray because it helps hold your waves while still being touchable and brushable. Other styling products in this collection include the Sea Salt Spray and the Wave Perfecting Gelee. I’ve been wishing for a Sea Salt Spray to try so I’m excited to use this as a way to add texture to my everyday hairstyles. It’s date night and I want to add Boho Waves to my hair! I’ve got the right products and tools for creating this hairstyle. Whichever Waves you’re going to create, I recommend visiting the TRESemmé page to read the Wavy Hairstyle Tips and watch the TRESemmé Hairstyle Videos that you can unlock after taking the quiz. Don’t forget to leave a comment below to tell me which hairstyle you’re going to try! Towel dry your hair by blotting with a towel. Finger comb to release any tangles. Plugin your curling iron so it will be ready to use after blow drying your hair. Rough dry hair with a hair dryer on high heat by hanging your head upside down. Here’s what my hair looked like after rough drying. Your hair is dry! Now it’s time to add your Boho Waves! You might want to curl your hair in two or three sections. I curled the bottom section of my hair first (and secured the top 2/3 of my hair with a clip). Twist each section of hair then wrap it around your curling iron to create a wave. After you complete curling the bottom layer, move up to the next layer. 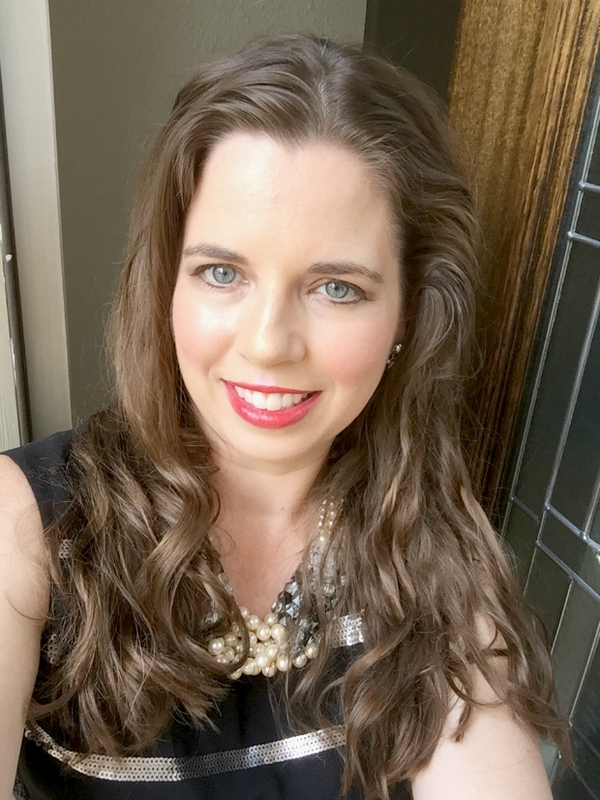 Got my Boho Waves – wow, I was so amazed I could take my hair from super straight to Boho Waves with my TRESemmé Perfectly (Un)Done products from Walmart. I’m ready for my date night with my Boho Waves. And I have to tell you it was quite the confidant boost to know I can create this hairstyle on my own. I’m definitely going to create Boho Waves for more special occasions because it’s such a fun change from my straight hairstyle. So now I’ve got to ask you . . .
What kinds of Waves will you create with TRESemmé Perfectly (Un)Done?